Inside Scoop: Check out these 15 affordable and nutrient dense everyday superfoods that won’t break the bank. Remember when açaí was all the rage? When it came out we were açaí-ing everything, from ice cream to smoothies, shakes, and juices…. literally everything! The thing is, we didn’t really understand what acai was. We knew that we didn’t know how to pronounce it, and we knew that is was pretty healthy. Now, we look back at those days and probably still have no idea what this little ‘super’ berry is, nor do we care anymore-because, well truthfully it’s lost its mojo and we’ve moved on to bigger better foods. What is really so super about a superfood? And what is a superfood anyway? We all do it, we hear ‘new and healthiest’, immediately perk up, and get all excited about these trendy new foods. We see InstaFeeds, Facebook posts and Pinterest accounts posting and pinning the chic-est foods and bowls jam packed with all these fruits and veggies non-native to us and it intrigues us. It could be because we are bored with the foods we have available to us in North America, or maybe because the health benefits of new foods intrigue us. Either way goji, tiger nuts, baru nuts and matcha pack a serious health punch, yes, but you don’t need to keep your ear open for the next ‘new’ superfood to be healthy; you just need to pick foods that are nutrient dense, and there are a lot of very special everyday superfoods lurking around your local grocer. “A marketing term that is used to describe food with supposed health benefits”. So, there you go. A ploy. A little trick the advertising world has come up with to mark up our quinoa and sell us the best superfood powders money can buy. The advertising world is pretty good at stuff like that. We’re not saying that moringa or baobab aren’t incredibly healthy, and loaded with all kinds of plant-powered nutrients but are they the “best of the best” of the healthiest of foods? Maybe not. Worth the money you are forking over for it? Well, that’s a matter of perspective. But, if you’re looking to save money on the food you’re buying, you don’t need to be constantly throwing down moula on the hottest superfoods out there. Check out our top 15 list of everyday superfoods that don’t break the bank. Why fish? Well, Omega 3 fatty acids are one of the most underrated fatty acids. The anti-inflammatory properties of Omega 3 help with energy production, metabolism, heart health, brain function and your waist line. The smaller the fish, the less chance of toxicity build up. We also strongly recommend wild caught if it’s something available to you and you can afford it. Farmed fish are typically fed a diet unnatural to their habitat and have been found to contain a higher number of contaminants and pesticides. Bottom line, farmed fish just isn’t as good. But if farmed is the only available option, then it still offers some nutrients and is a much better option than a highly processed burger and fries. 20 years ago, it was fat that got a bad rap – resulting in a low fat, high sugar and/or high artificial sweetener diets for weight loss. Today the theory that fat is bad for you has been debunked (Omega 3 is just one example of a healthy fat) so we move on to placing the blame for America’s obesity epidemic somewhere else – and that is grains. Now you see very low carb diets like Keto and Paleo popping up all over the place, but we’re here to tell you that grains are good! What’s not good is removing everything nutritious about the grain (like the outer shell and fibres), heavily processing it, bleaching it, and calling it ‘white flour’. When you remove the outer shell, you leave behind the starch, which turns into a quick release sugar in your bloodstream that can spike insulin and result in blood sugar imbalances. If you find foods that contain whole grains such as: spelt, oats, rye, barley, brown rice, quinoa, buckwheat etc. and are careful that you avoid preservatives and additives, there’s no need to worry about weight gain due to the consumption of grains. If anything, these whole grains can assist with weight loss. They are jam packed with B vitamins (which help with energy production), protein (which helps you feel full), fiber (which helps move things along), and minerals (which help support your nervous system). And when you leave these grains in their natural state they are a slow release carbohydrates, meaning you won’t find the same blood sugar spike as you do with your white bread slice. Take grains up a notch by soaking, fermenting or sprouting them. This makes it much easier for your body to digest the grain, and sprouting/ fermenting bring out other kinds of nutrients. Grain disclaimer: grains are hard to digest for some people, in which case removing grains from the diet, and working on a gut healing protocol can possibly be beneficial. This should be a temporary thing, when the gut is healed, the grain can be re-introduced into the diet. Papaya and pineapple possess the enzymes papain and bromelain, which are shown to breakdown proteins in the body, help aid with the digestion of food and fight inflammation. 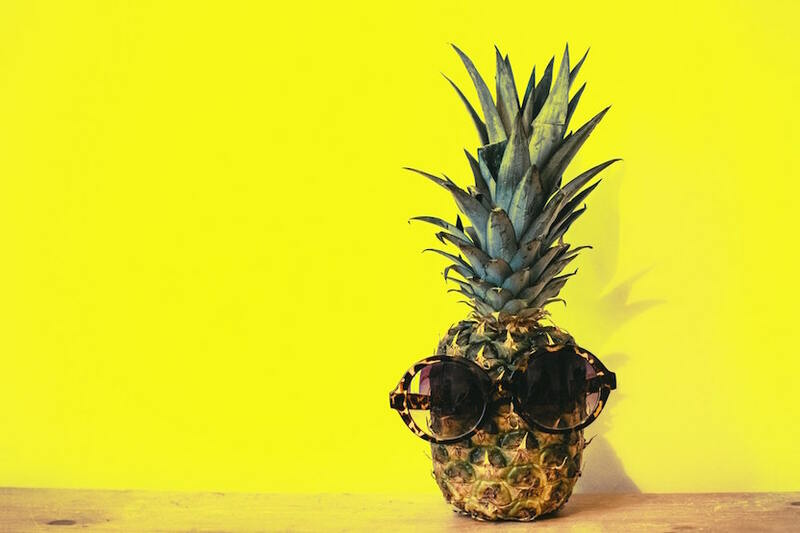 Eating raw fruits and veggies are always useful in increasing your enzyme intake, but if you want to step up your enzyme game definitely make your fruit bowl a little more tropical. Raw honey’s anti-microbial properties are nothing new. This food has been used for centuries due to its anti-microbial properties. But not all honey is the same, and Manuka Honey is the literal bee’s knees in the honey kingdom. This honey actually produces hydrogen peroxide, which makes it such a wonderful natural antibiotic. Not only is raw honey high in enzymes (which help fight inflammation and aid digestion), but it is also in the mineral zinc, which also helps to strengthen the immune system. Honey is so easily incorporated into delicious recipes like this Grain-Free Cacao & Honey Banana Bread. Since the bees are over here creating such wonderful foods for humans to consume, we shouldn’t fail to mention the healing powers of bee pollen. Bee pollen is essentially the food that bees eat, and research is beginning to point to this wonderful food as being beneficial for multiple things from inflammation, to immune system to liver health. Bee pollen has over 250 different kinds of nutrients, including vitamins and antioxidants. Chia – meaning “strength” in the Mayan language were used by warriors as fuel while they were running long distance during battle. Only 1 tsp of chia seeds were said to sustain these warriors for 24 hours. So on our list of super-duper awesome, high-density, nutrition packed foods – the almighty chia seed is definitely up there. High in soluble fiber, Omega 3 fatty acids, Omega 6 fatty acids and minerals, these itsy bitsy little seeds are a pretty well rounded food. They are amazing for your skin and hair, digestive care, circulation, balancing blood sugars and boosting energy and metabolism. Try this 3 Ingredient Strawberry Chia Jam recipe for some inspiration. Tip: we also love flaxseeds and hemp seeds that can be more budget friendly and are readily available for us here in Canada. They both pack a similar nutrient punch. 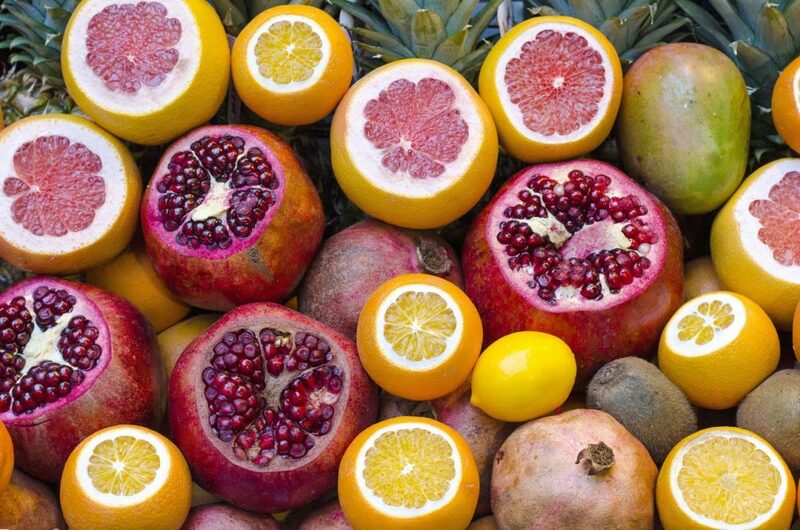 We’re sure you’ve heard the term antioxidants, but maybe not too sure what it means. Well, an antioxidant is a molecule that inhibits oxidation in other molecules. Yes, this sounds like a bit of science mumbo jumbo, but basically oxidation can damage cells within the body and antioxidant rich foods help prevent that from happening. Now, you might be tempted to prevent as much oxidative stress in your body as possible by going out and buying antioxidant vitamin formulas, but guess what- save your money. 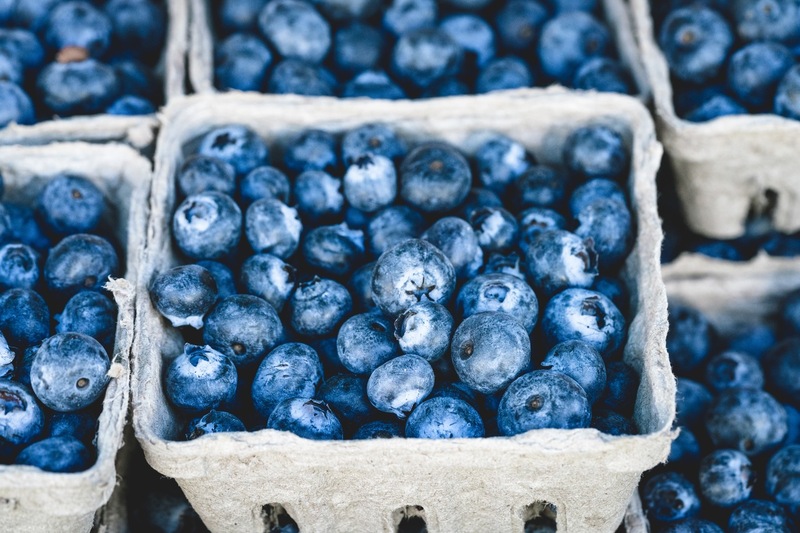 The best thing you can do is have a diet high in foods that contain antioxidants, and berries definitely top the list. Not only are they jam packed with powerful phytonutrients and Vitamin C, but they’re also high in fiber and iron, making them super-duper foods! Guess what, a sweet potato can do everything a regular potato can do and more. Not only does it make a great side, but because of the sweetness it can be added to desserts as well like this 4 Ingredient Sweet Potato Chocolate Icing, so it’s a much more versatile food. The one awesome thing about the potato that’s sweet is it’s a slow release carbohydrate, meaning it doesn’t cause a spike in blood sugars, and is lower on the GI scale (especially compared to the white potato). So, a versatile, blood sugar balancing food that’s high in vitamin A, vitamin C, B vitamins and minerals? Yeah, we most certainly would like to add the sweet potato to our top favourite nutritionally dense foods. Check out this recipe for The Best Sweet Potato Fries EVER! We’re writing from Ontario, Canada – more specifically the Southwest region, which is notorious for thyroid issues. Yeah, bummer. It’s actually been labeled as the ‘goiter belt’, which is from a severe lack of iodine in our soil. So, traditionally iodine has been added to our salt, and that’s ok, but we personally would rather be eating salt that’s not heavily processed (we tend to opt for sea salt). So, with a severe lack of iodine rich foods over here, and eating normal salt where do we get the rest of our iodine from? Well, sea veggies are an amazing place to start. Sea veggies can include: kelp, nori, spirulina and chlorella. So, not only do we have iodine rich sea veggies but they are incredibly high in minerals and iron. We cannot overestimate the health benefits of walnuts. Just 15 walnut halves (about an ounce) pack over 100% of your daily requirement for omega 3s, which are essential for a healthy heart and brain. Walnuts also contain an unusual form of vitamin E that provides protection against heart problems, especially in males. 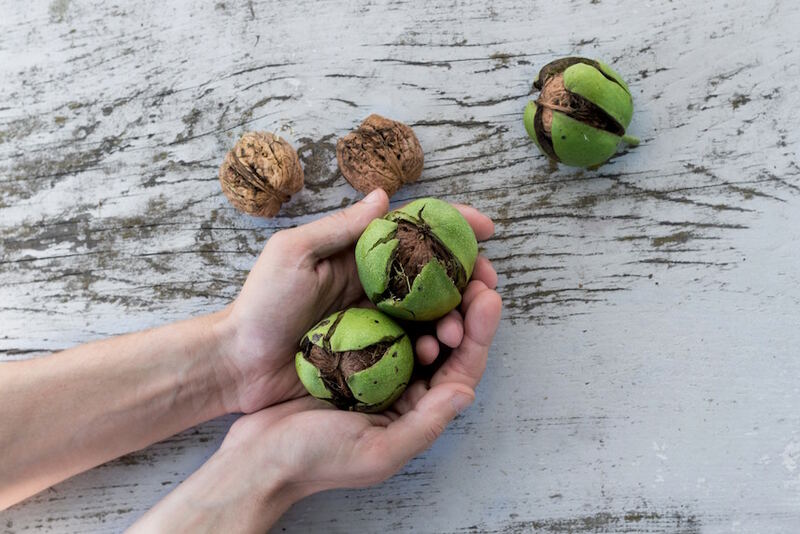 In addition, like other nuts walnut possess strong anti-inflammatory and antioxidant properties, and are protective against obesity and type 2 diabetes. Avocados can be used for pretty much anything from smoothies, to salads, sandwiches, desserts and even as part of your beauty regimen. They are the cleanest food out there on the Environmental Working Group’s (EWG) Clean 15 list. This means that they contain the least amount of pesticide residue or pretty much none at all. Avocados are rich in vitamins A, C, E, K and B6, along with an enormous amount of potassium and “healthy” fats. Perhaps the biggest health benefit of avocados is that when you combine beta-carotene (think orange foods; carrots, sweet potatoes) with avocado you increase the nutrient absorption rate of the beta-carotene (meaning you get more of it). On top of that, avocados are a complete protein which means that you get all the 8 essential amino acids. Pretty amazing right? Once the cure for it all “an apple a day keeps the doctor away”, apples have been pretty much forgotten, but they are still one of the widest available and healthiest fruits out there. Incredibly rich in fiber and polyphenols (a range of compound with antioxidant properties), they help to balance blood sugar by limiting the absorption of glucose from the digestive tract. In addition, apples (particularly the green Granny Smith variety as well as Apple Cider Vinegar) benefit the growth of friendly bacteria in the gut and aid in weight loss. 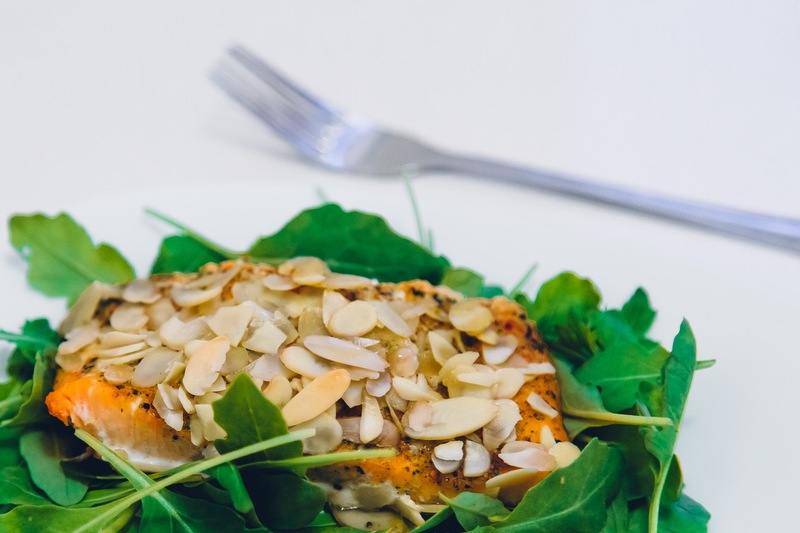 Broccoli, cauliflower, cabbage, kale, bok choy, arugula, watercress…to name a few, are amazing for you. They are most notorious for containing compounds that possess cancer fighting properties. Whether you eat them in raw or cooked form, they have incredible benefits and a long list of nutrients. We can never talk enough about the wonderful health benefits of lemons. Rich in Vitamin C, lemons help to support the body’s natural defense system. They may also support the body’s natural detox capacity, have anti-bacterial properties and help to break down mucus build-up (perfect during the cold & flu season). A glass of warm water in the morning stimulates peristalsis, which is the movement in the bowels that keeps waste moving along the digestive tract and out of the body and the added lemon just gives it a refreshing taste. Lemon peels also have a compound called “limonene” that is being researched in cancer prevention. Lemons are the perfect acid base for salads, but you can also enjoy them throughout the day in your water, tea or even in raw desserts. Check out this recipe for our Warm Immune Boosting Elixir. Having a healthy gut is definitely setting you on the right path for overall health and well-being, and adding fermented foods to your diet is going to help strengthen your G.I. system. Fermented foods include: kefir, sauerkraut, miso, kimchi, tempeh etc. These foods have been through a process of lacto fermentation resulting in a ‘live’ food filled with beneficial bacteria. This creates foods that are high in beneficial enzymes, probiotics, B vitamins and Omega 3 fatty acids. Probiotic rich foods also are thought to aid in detoxification, support liver health, support your immune system, nervous system and hormones. Having a diet high in fermented foods helps support every bodily system in some way or another. So when someone says, ‘would you like to try this kimchi?’ you say yes! You may be hearing a lot in the world of ‘medicinal mushrooms’ lately. They have been used in Traditional Chinese Medicine to boost health for hundreds of years. The medicinal varieties include: reishi, cordyceps, lion’s mane, chaga and turkey tail, and are believed to boost your immune system, reduce stress, and promote mental clarity. But, we want to talk about just how beneficial the normal, everyday culinary mushrooms (like shiitake and portobello) are for you. They contain plenty of nutrients, like protein, riboflavin and niacin but also contain plenty of antioxidants and polyphenols, making them a great immune boosting food. The nutrient density is dependent upon storage and cultivation, so sourcing the mushrooms from the right places will be all the more beneficial. There you have it, the list of our top nutritionally dense everyday superfoods that you can find at your local grocer (and won’t break bank). Just by adding a few of these amazing foods to your diet means you are already taking a step to treating your body the way it deserves to be. Did your favourite everyday superfood make the list? Let us know in comments below. Thank you Krista! Do you have any favourites to add on to the list?